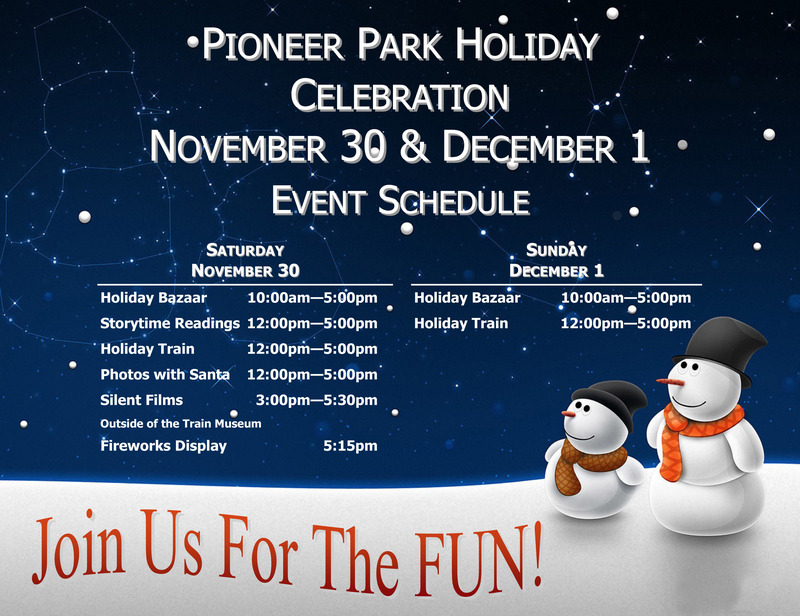 This weekend as part of the Pioneer Park Holiday Celebration, Fairbanks Arts Association will be hosting Children’s Storytime Readings from 12-5 (on the 1st floor of the Alaska Centennial Center for the Arts) and enjoy Silent Films outdoors by the train station while you wait for your winter wonderland train ride! (3-5:30 pm). It will also be your last day to visit the Bear Gallery exhibition of Steve Cross and Tammy Phillips artwork. Additionally, you can find that special holiday gift for your loved one in the Gift Shop where we are featuring artwork by Pamela Fetzer. There will be a fun and festive atmosphere all around the park! Come out and enjoy the holidays with us! Previous Fairbanks NaNoWriMo hosts event in the Bear Gallery TONIGHT Friday Nov. 15th!